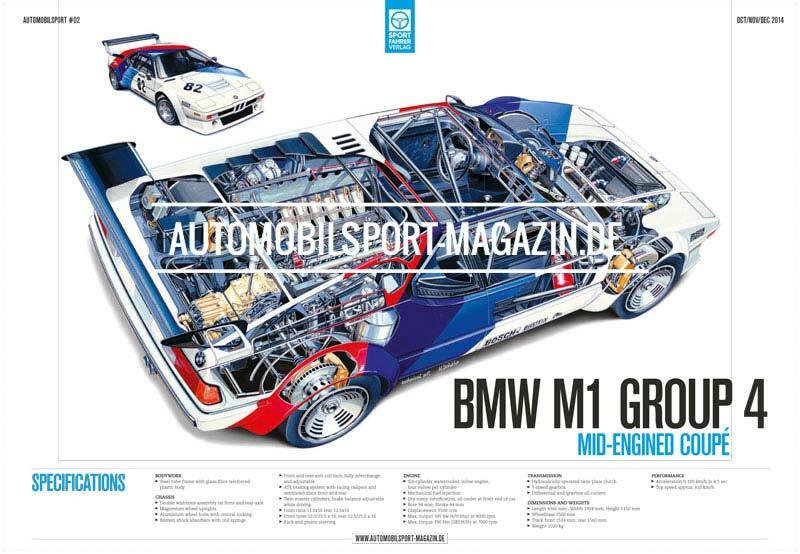 With Poster of the BMW M1 GROUP 4! 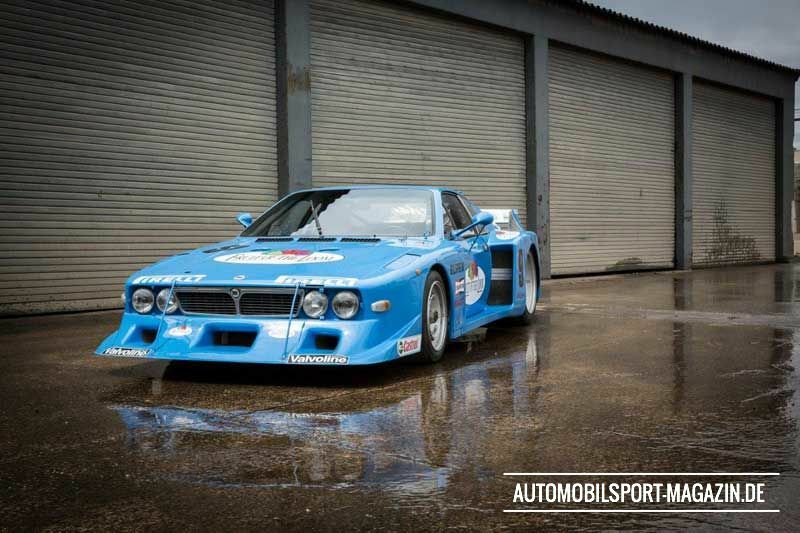 "A FANTASTIC CAR TO GET IN AND HAVE FUN"
"I honestly thought: That’s it for me! Fortunately I spun around first before hitting the barriers backwards for the first impact. 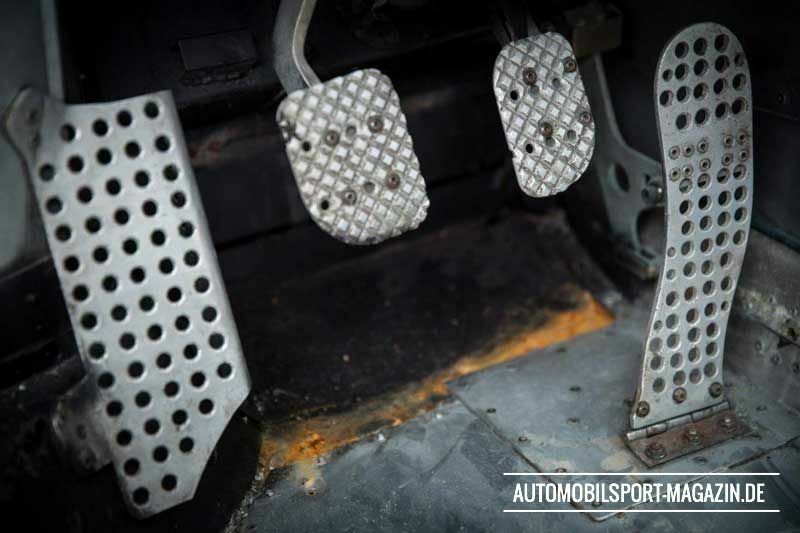 If that would have been head-on, it would have been fatal." 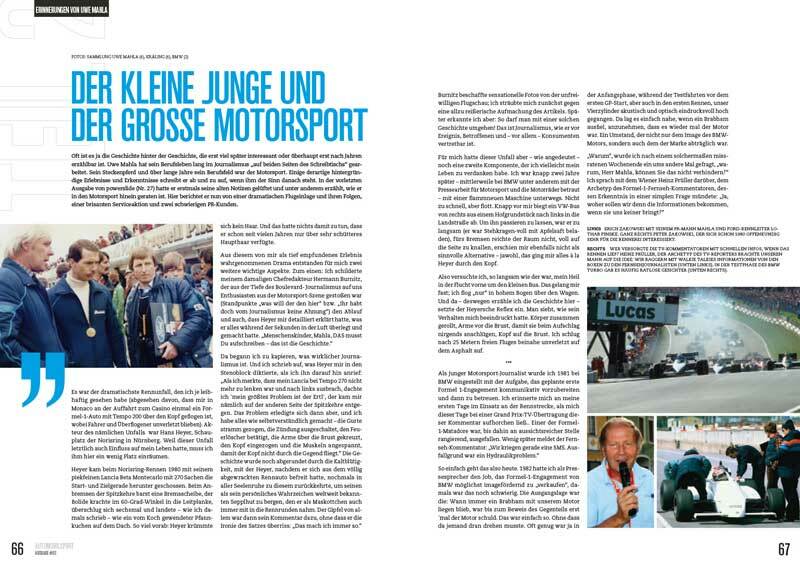 Hans-Joachim Stuck remembers the spectacular early end of his 1979 Monaco Procar race. 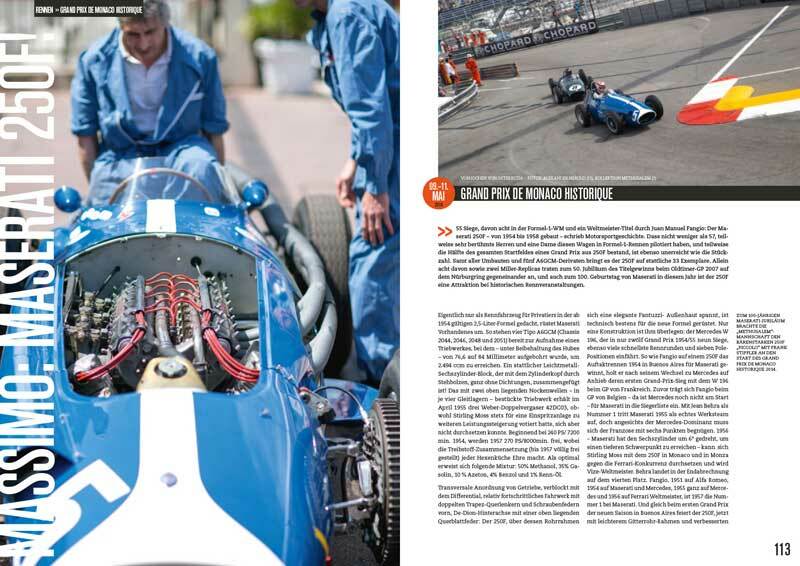 Stuck’s Cassani M1 came to rest on top of the barriers at Monte Carlo’s high-speed swimming-pool section. 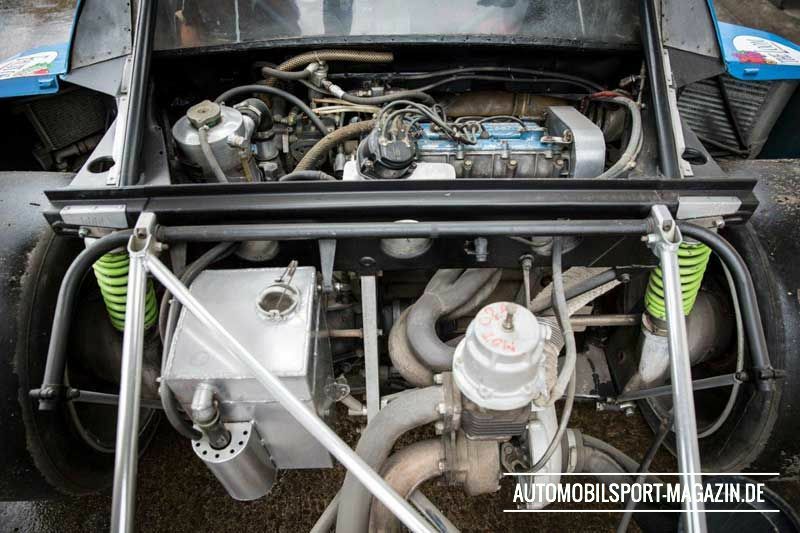 Hans wasn’t to blame for the accident: "An oil pipe burst, spraying oil on the rear wheels and off I went." 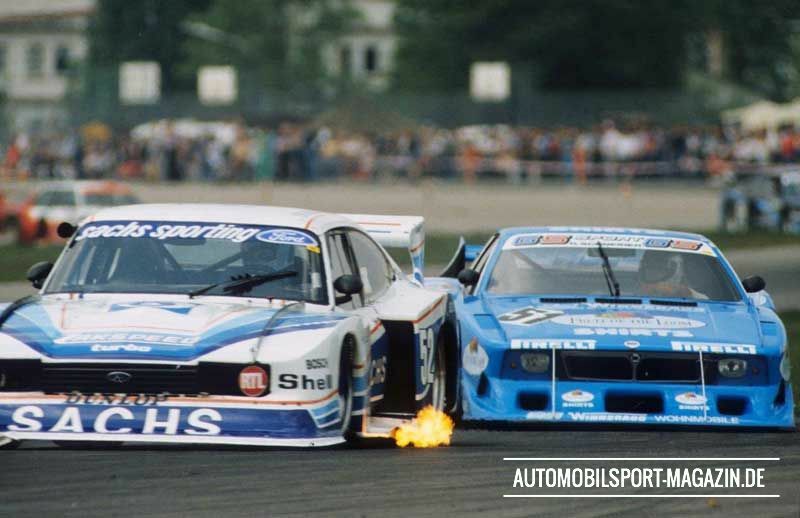 Hans Heyer is without doubt a legend of international touring car racing of the 70s, 80s and 90s. 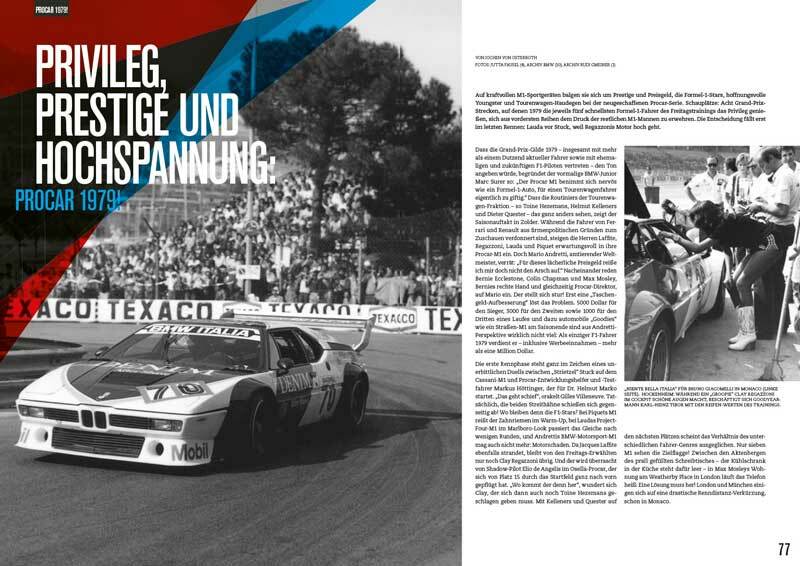 A new book "Hans Heyer – Racing on the limit" will be published by Sportfahrer-Verlag this autumn and has been dedicated to his successful career. 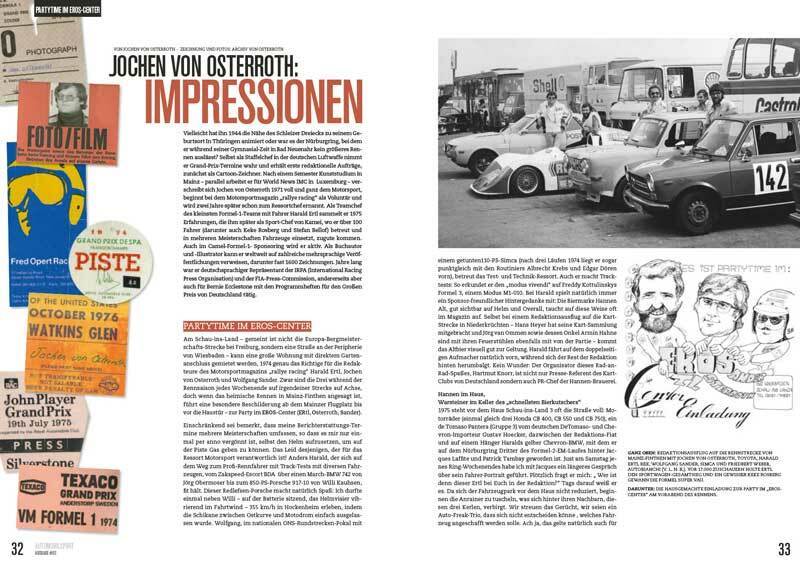 On 300 pages and with lots of pictures, Michael Behrnd and Uwe Mahla review Heyer’s career from ambitious go-kart beginner to works driver for no less than five major manufacturers. 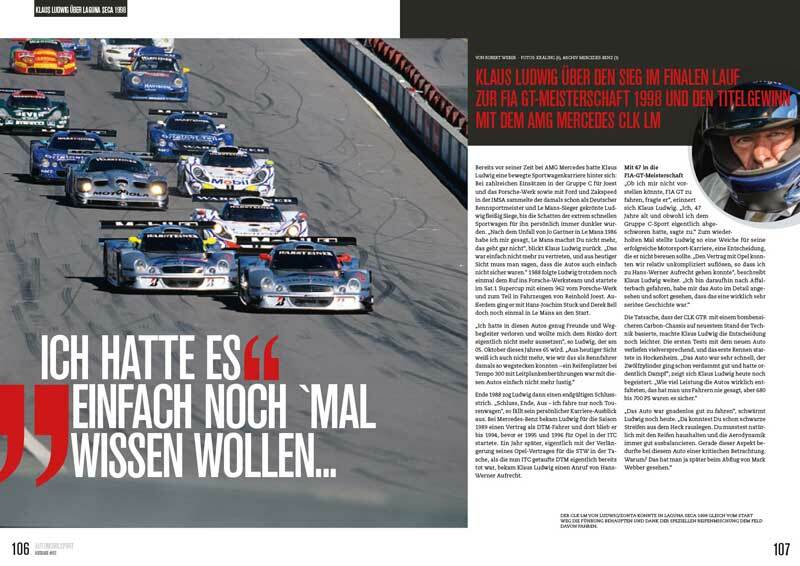 Hans Heyer comment’s large parts in his own direct and humorous way. 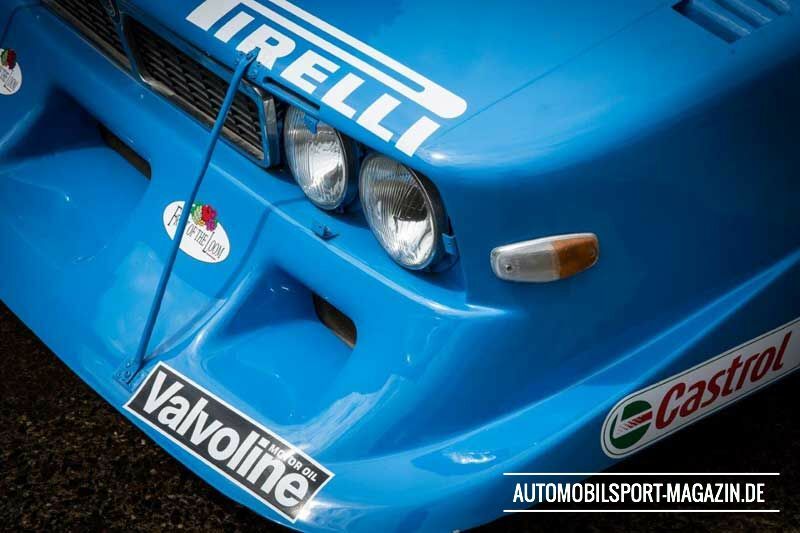 One very important part in Heyer’s career were the 1980 / 1981 racing seasons in the DRM with the Group 5 Lancia Beta Montecarlo. 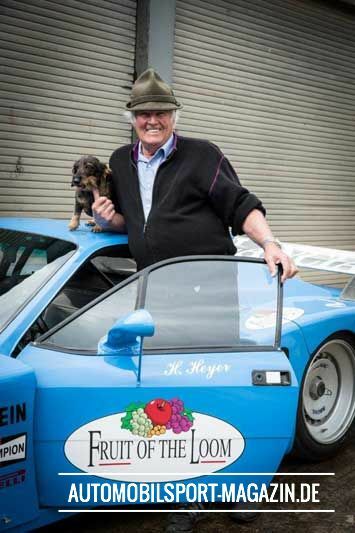 In an addition to an extract of his new book, Heyer gave us access to his championship winning car which he still owns and explains why it is so special for him. 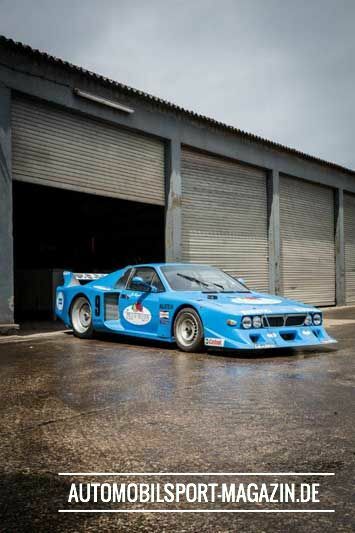 Lancia wanted to enter the German DRM championship with the Group 5 Beta Montecarlo Turbo and after initially leaving Zakspeed-Ford for retirement, Pirelli persuaded Heyer to meet with Lancia. 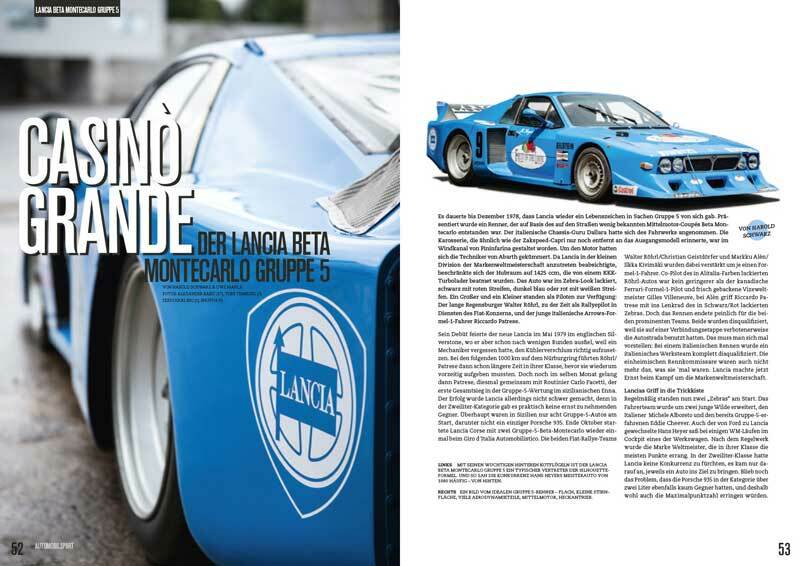 But after a 10-hour marathon meeting with Lancia racing director Cesare Fiorio and the entire Lancia top management, Domingos Piedade and Heyer were in low spirits. 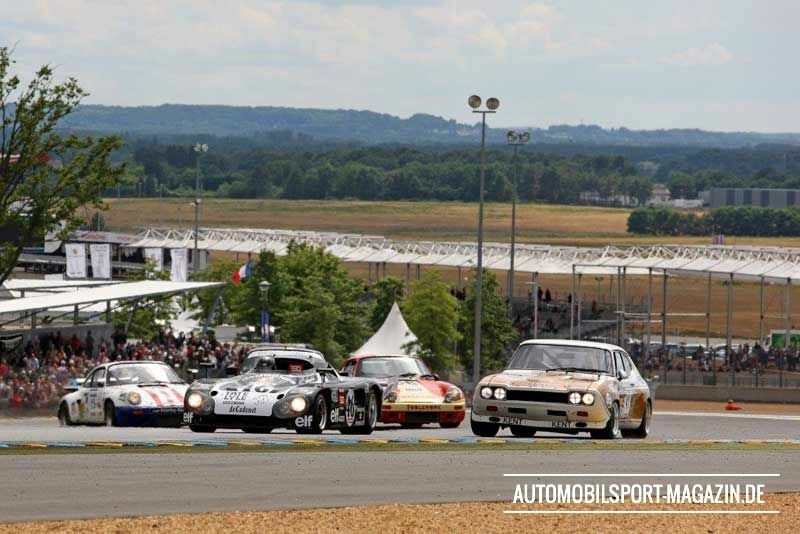 The 2014 Le Mans Classic, taking place every second year, was again one of the major highlights of the historic motorsport season. 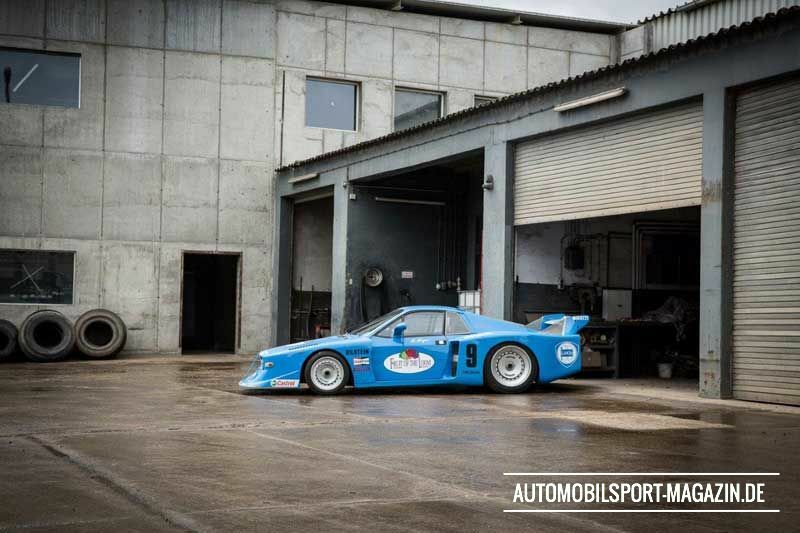 Without doubt it is the event to see endurance racing cars with a unique racing history. 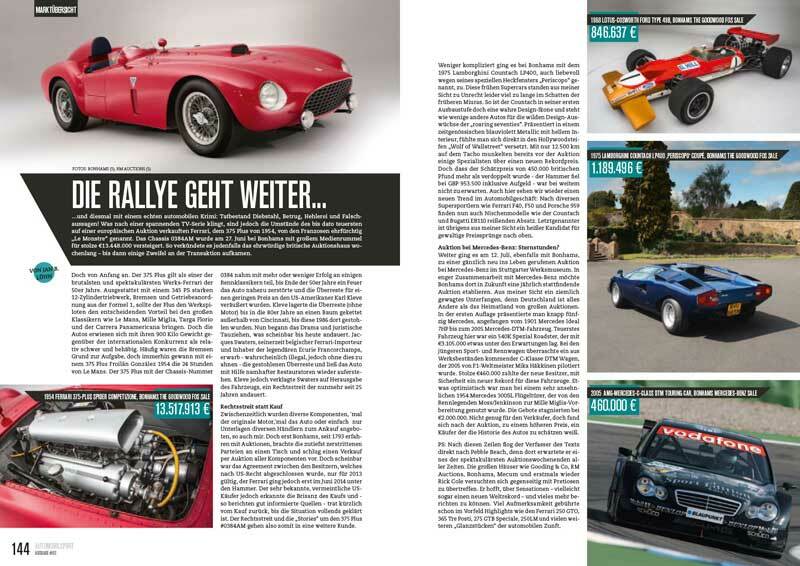 One of these cars was Henrik Lindberg’s de Cadenet-Lola T380. 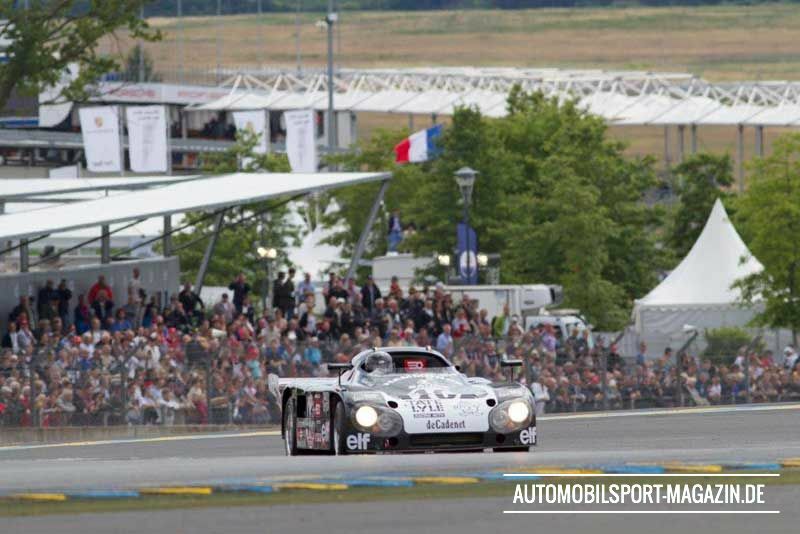 In the 1976 24 hours of Le Mans it finished on the podium driven by team owner Alain de Cadenet himself joined by Chris Craft. 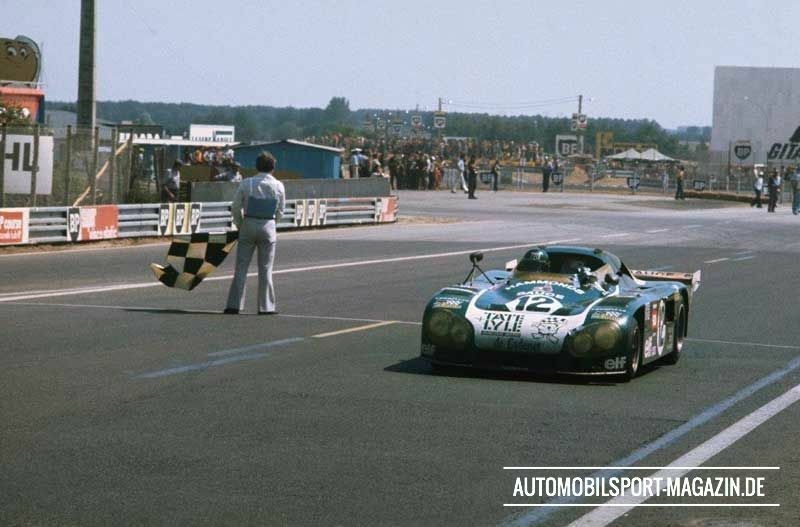 After having entered the Gordon Murray-designed Duckhams-Ford Group 6 prototype at Le Mans between 1972 and 1974, Briton Alain de Cadenet acquired a Lola T380 for the 1975 race. 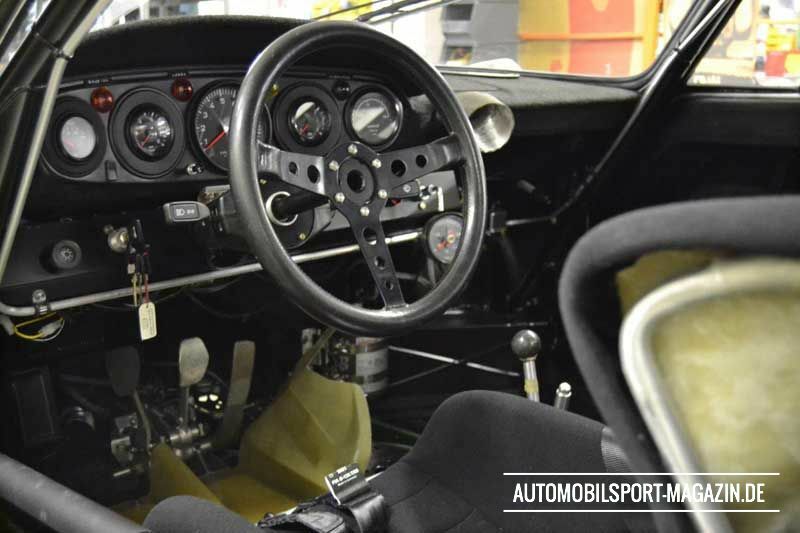 Just as the Duckhams, the Lola was powered by a Ford Cosworth DFV that produced around 400hp in its endurance specification. 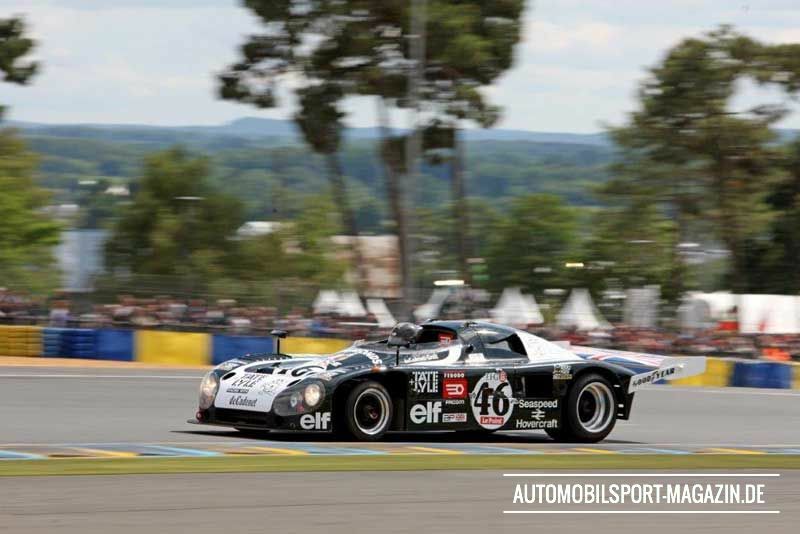 Much to the disappointment of the team it found that their new Lola with dedicated high-speed bodywork was losing more than 20kph top speed to the old Duckhams on the Hunaudières straight. 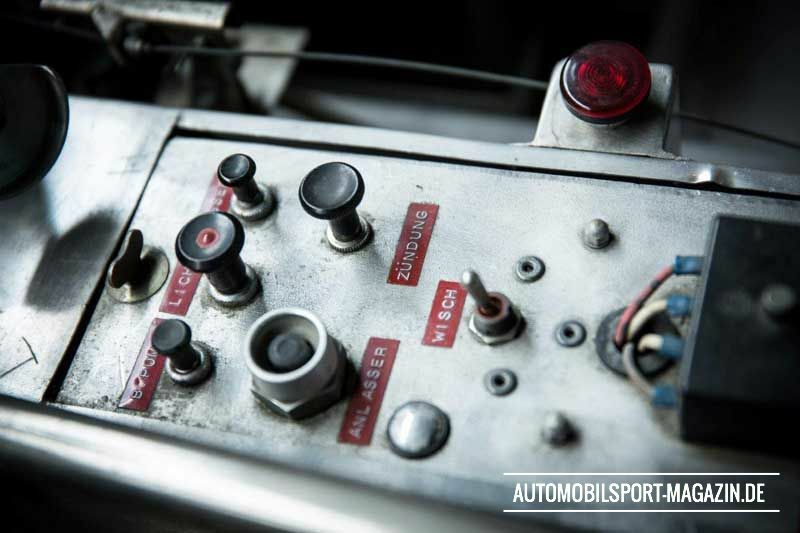 The rear section of the de Cadenet-Lola started vibrated at high speeds and caused severe engine overheating. 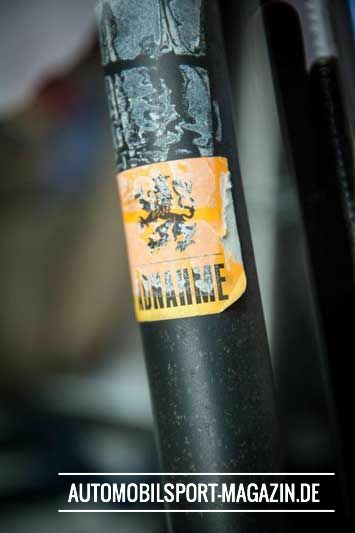 Team manager Keith Greene had additional cooling slots cut out and fixed loose bodywork with pop rivets. 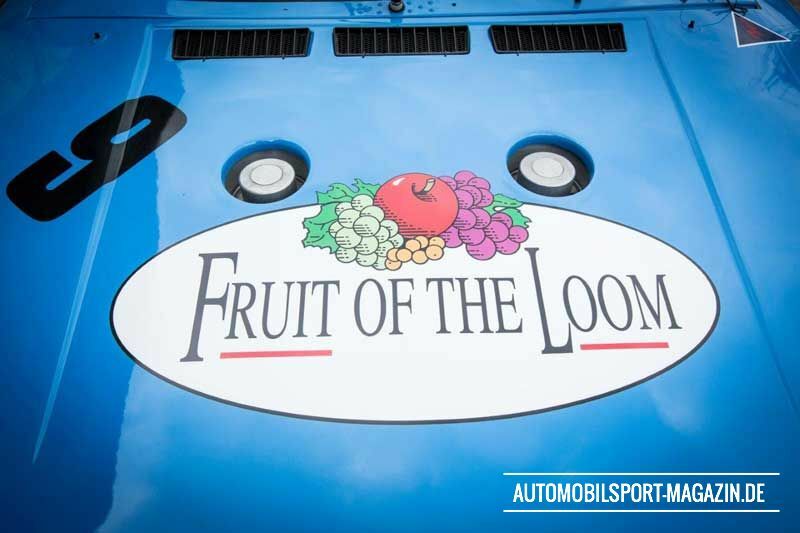 Briton Chris Craft, winner of the1973 European 2-litre Sports Car Championship, qualified the car in seventh. 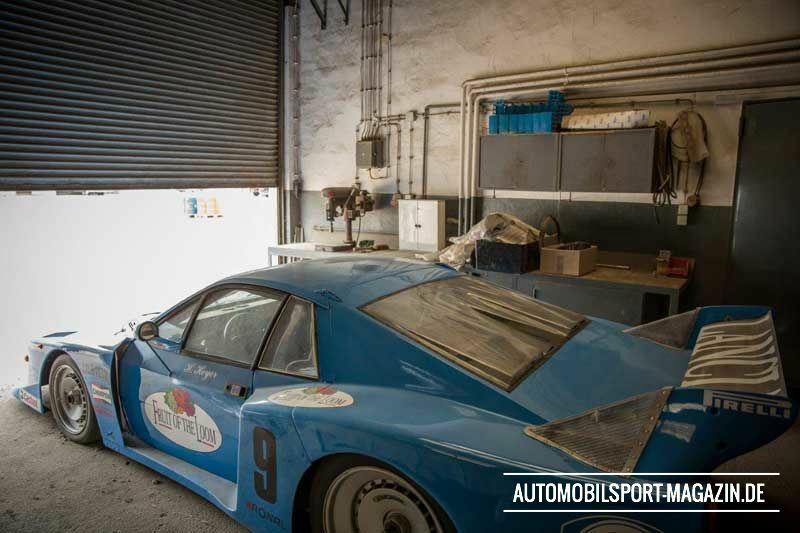 In the race Alain de Cadenet lost the rear bodywork during the night. 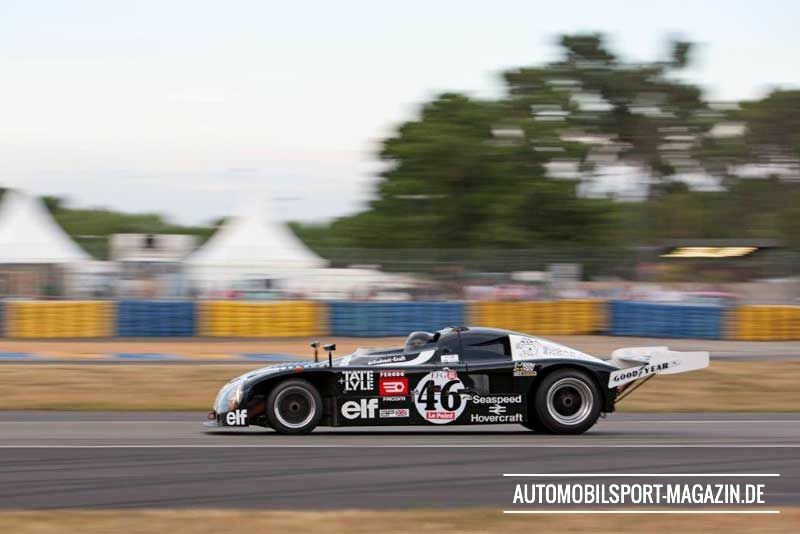 After more issues and long repairs de Cadenet/Craft finished 14th overall, 45 laps behind the winning Gulf-Mirage. 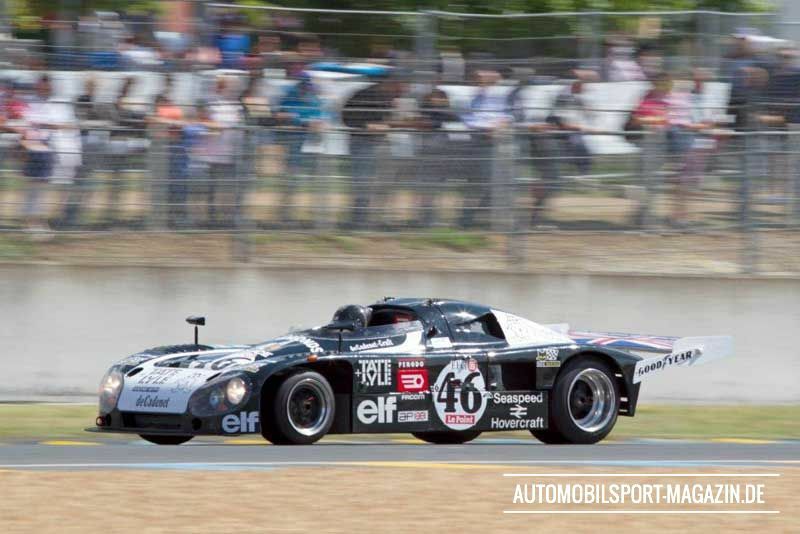 But the car did show its potential, Craft setting fastest lap of the race. 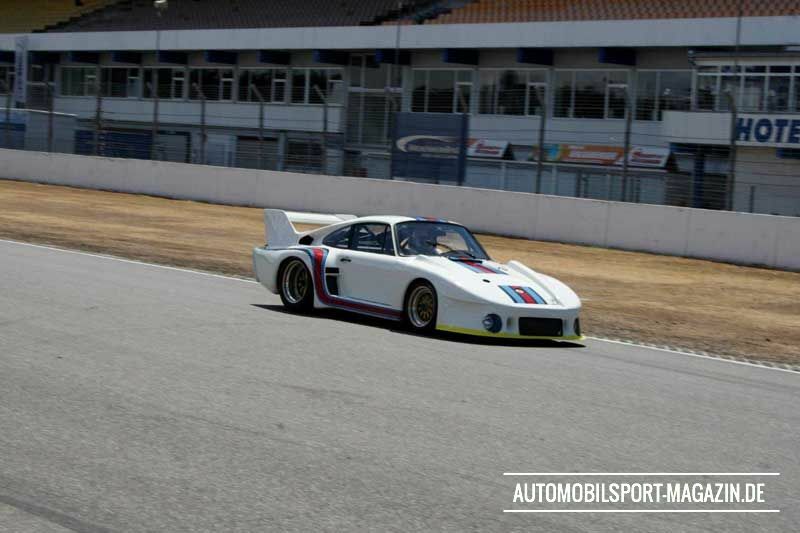 Thirty-seven years ago Jürgen Barth had a nightmare moment behind the wheel of the factory Martini-Porsche 935/77 chassis number 004. 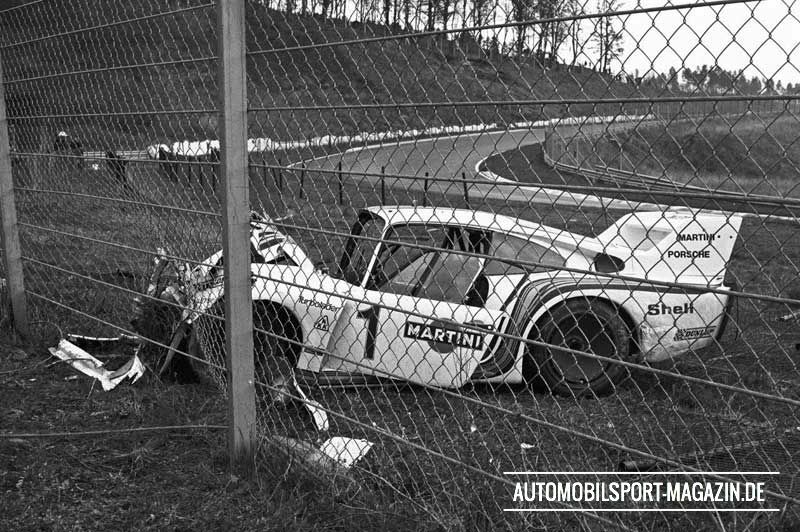 During the second round of the 1977 Manufacturers Endurance World Championship in Mugello, Barth found his car had lost all brake pressure and in a hazardous maneuver he first spun into the back of John Fitzpatrick’s Kremer-Porsche before ending up in the catch fence at Mugello. 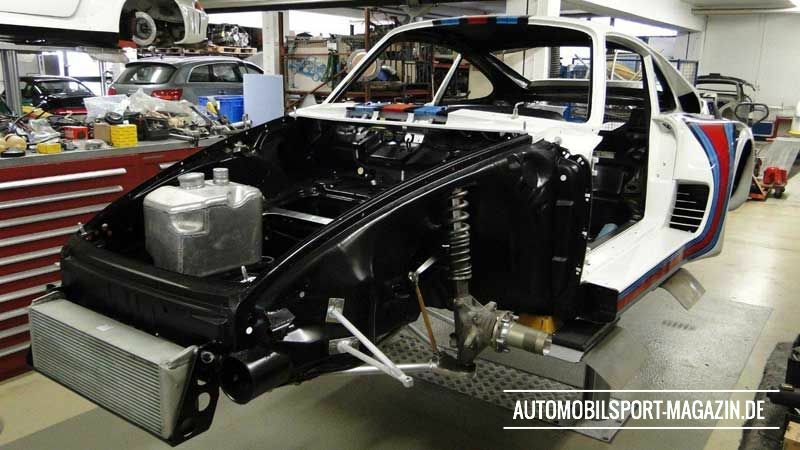 In '77 that was the end for the 935/77-004 as a factory chassis as it was a complete write-off. 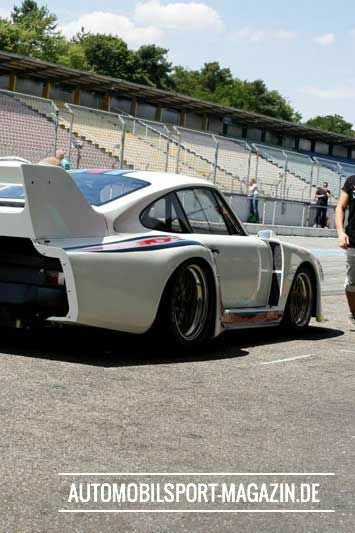 Today it is beautifully rebuilt and Jürgen Barth himself put 004 back on the track in Hockenheim this July. 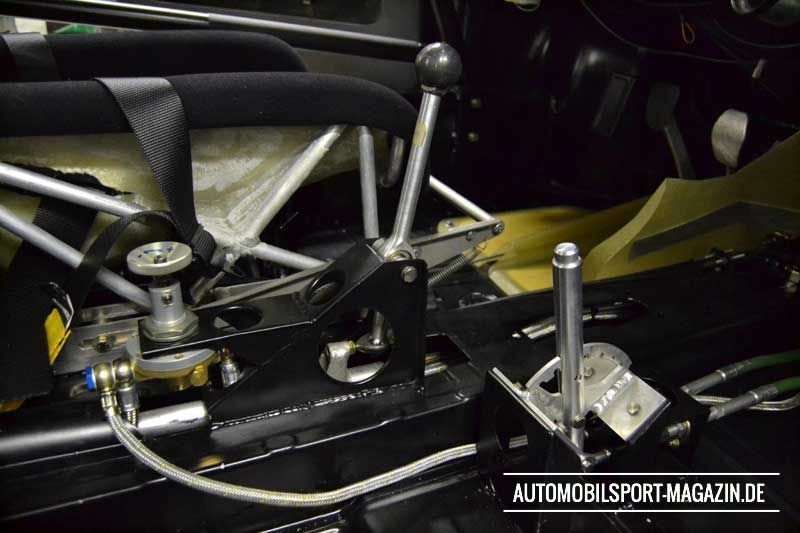 Porsche had designed a new Group 5 model to race in the 1977 Manufacturers World Championship. 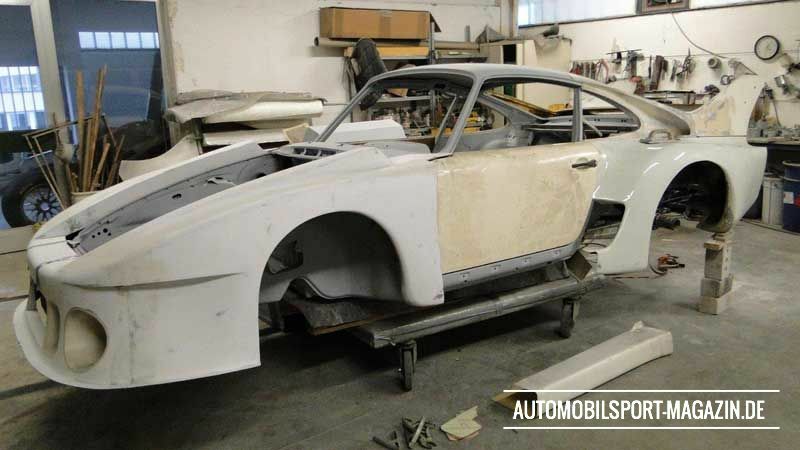 The 935/77 succeeded the 1976 specification 935, with the new car receiving major updates on chassis, bodywork, suspension and most significantly on the engine which had a twin turbo unit fitted. 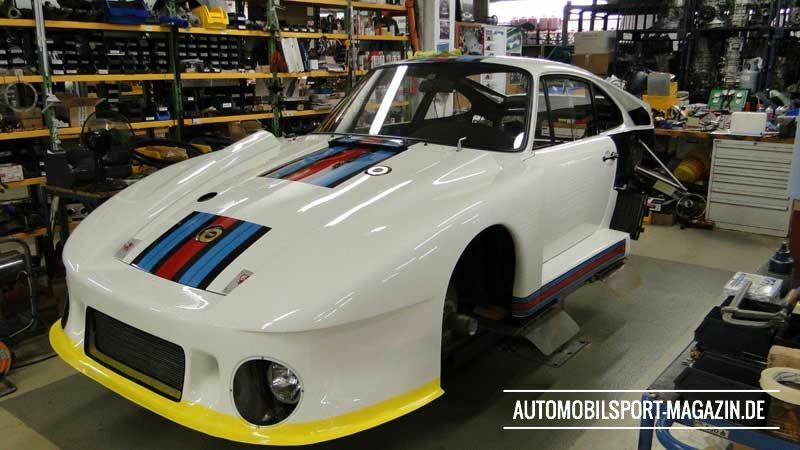 For the start of the 1977 endurance season in Daytona, Porsche still brought a single 935/76 with the mono-turbo engine to the USA. 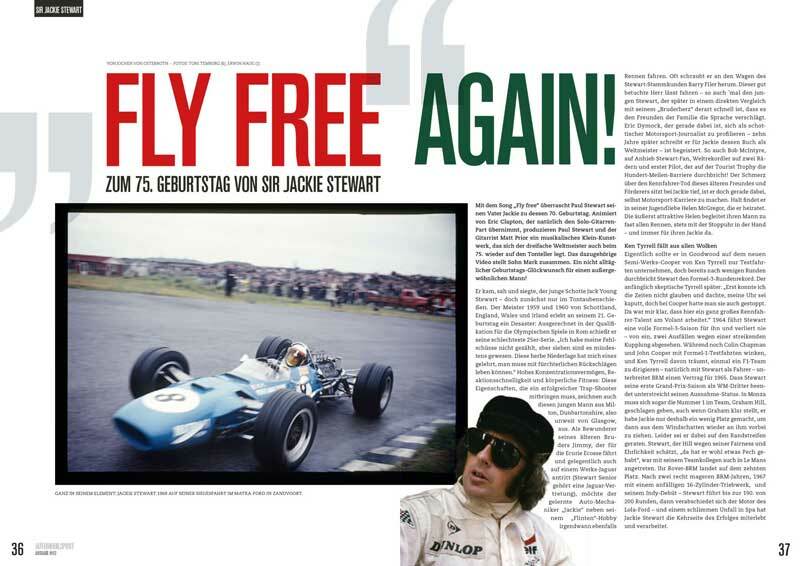 Unfortunately in Florida Jacky Ickx/Jochen Mass suffered two blown tyres and had to retire early. 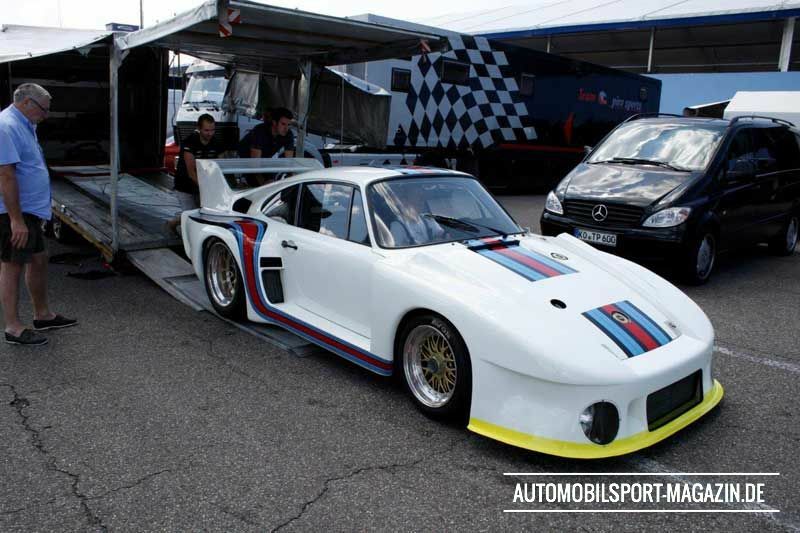 The debut race for the new 935/77 was set for round two of the championship, held at the end of March in Mugello, Italy. 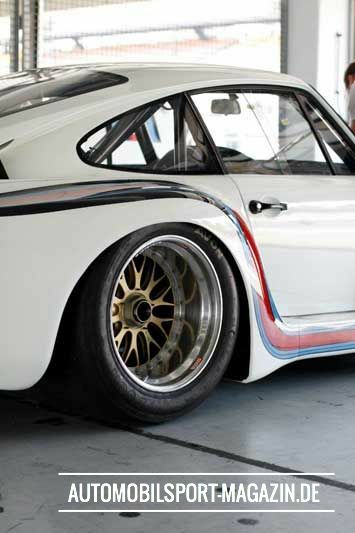 After intensive wind tunnel work the 1977 935 with revised bodywork was much improved aerodynamically. 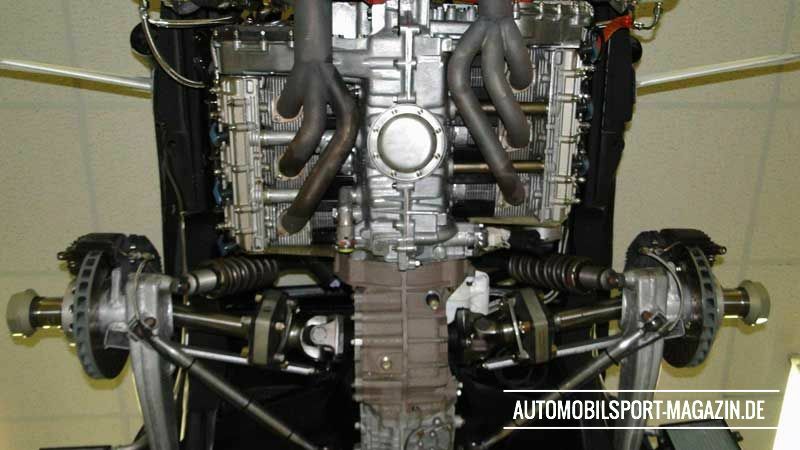 The new six-cylinder engine with its twin-turbo not only had considerably better throttle response and less turbo lag but also raised maximum power by 30hp. 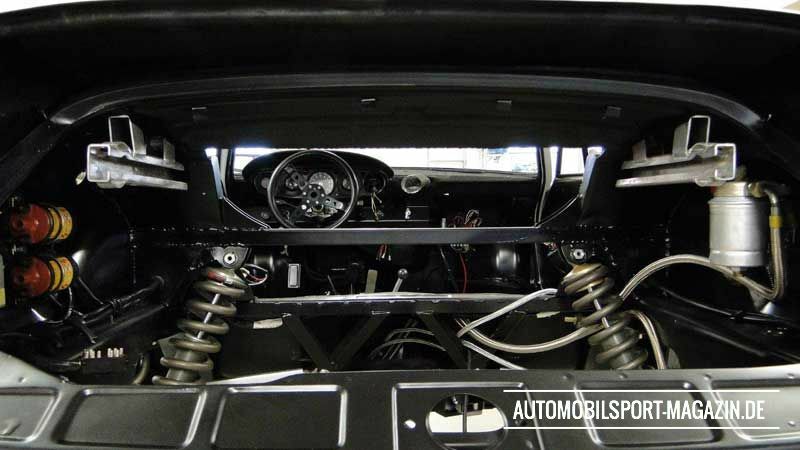 The car’s brake system was fitted with a hydraulic assistance unit for the first time and after modifying the suspension geometry the steering also got a lot easier, something the drivers much appreciated. 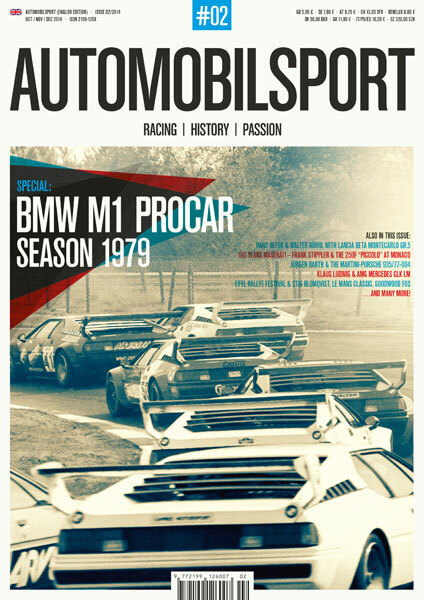 Manfred Schurti did most of the 935/77’s testing in Le Castellet and compared the handling of the 1977 car to that of a single seater. "It is very agile, precise and responds immediately", Schurti stated at the time. 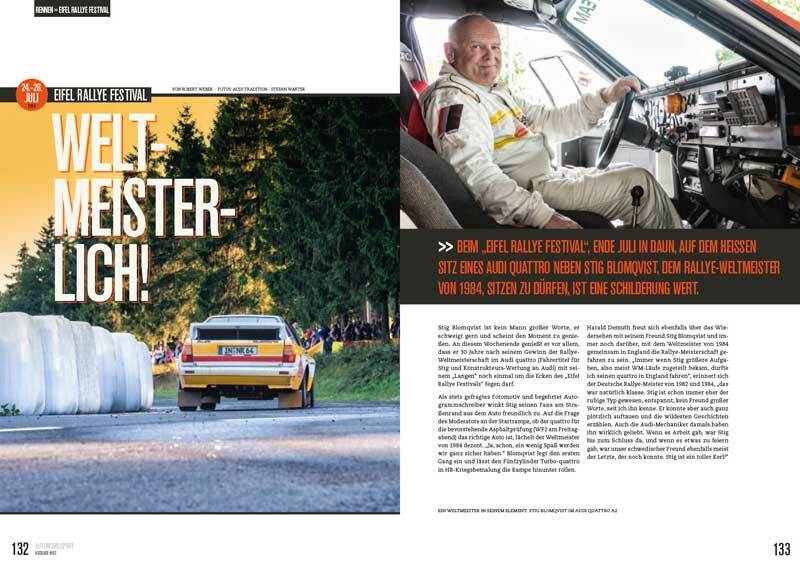 "You can drive the 935/77 smooth and without brutal effort." 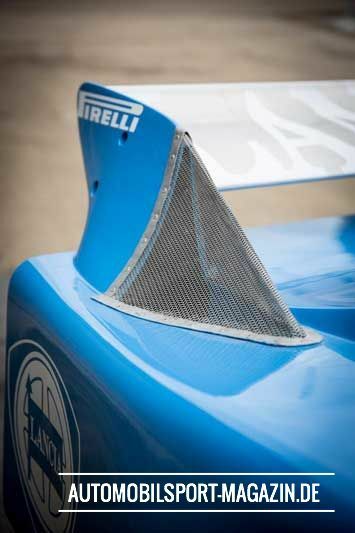 However, all the superiority the new car had shown during testing seemed suddenly to have vanished come Mugello qualifying. 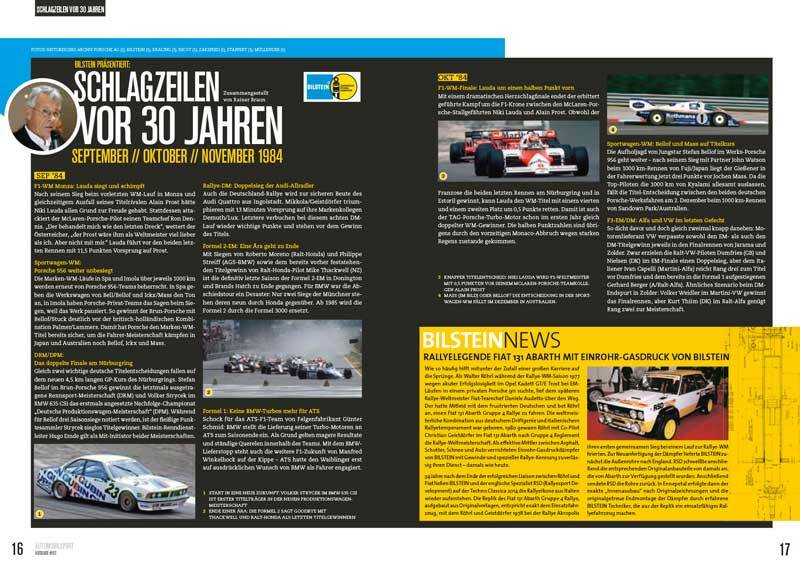 After experimenting with set-up and spring rates the 935/77 chassis number 004 had lost the handling balance and it took Jochen Mass a lot of effort to beat the 2:11.5 min qualifying best of his team mate Schurti in the 1976 car. 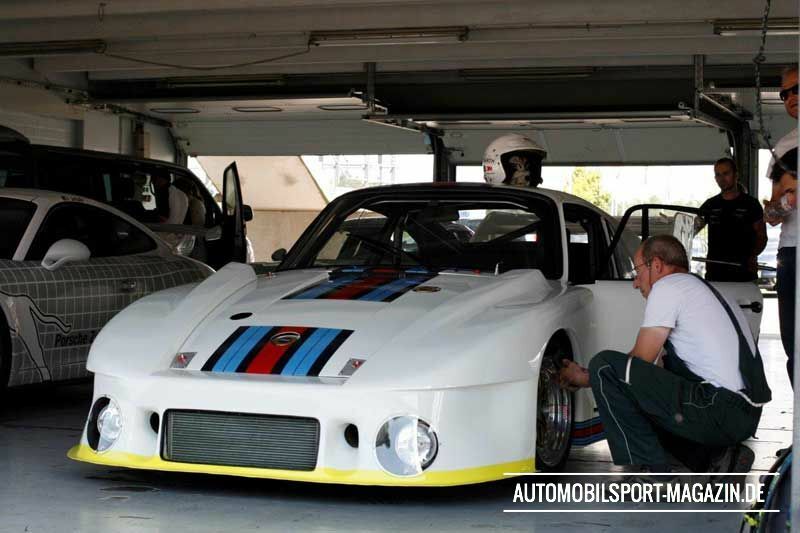 The factory had entered two Martini-sponsored cars for the start of the European endurance season in Tuscany. 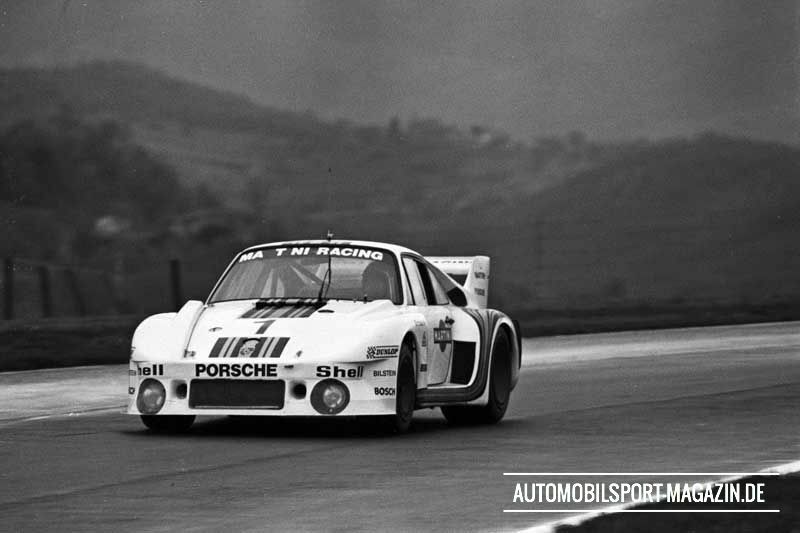 Brand new 935/77-004 carrying number 1 was to be driven by Ickx/Maas and was backed up by 935/76-002 for Stommelen/Schurti, the later number 2 car unchanged from the previous season’s specification. 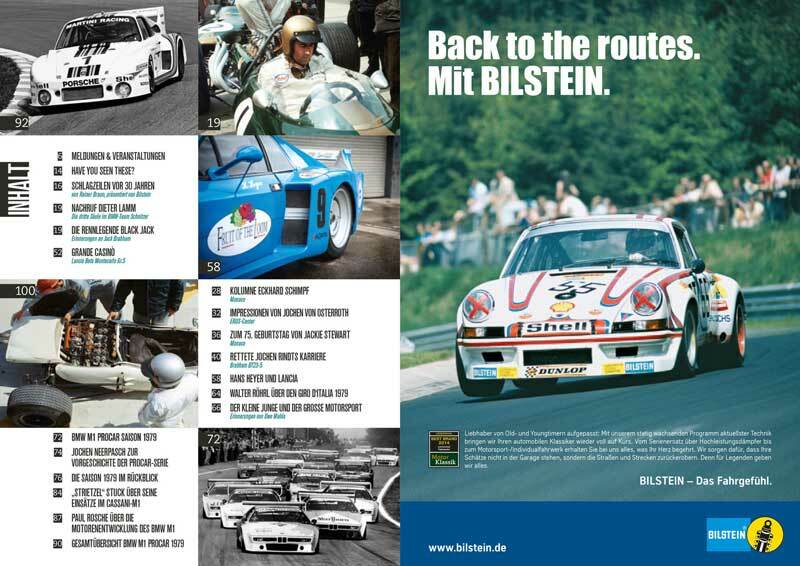 Unfortunately that weekend the Porsche works drivers’ health was not in good state at all. 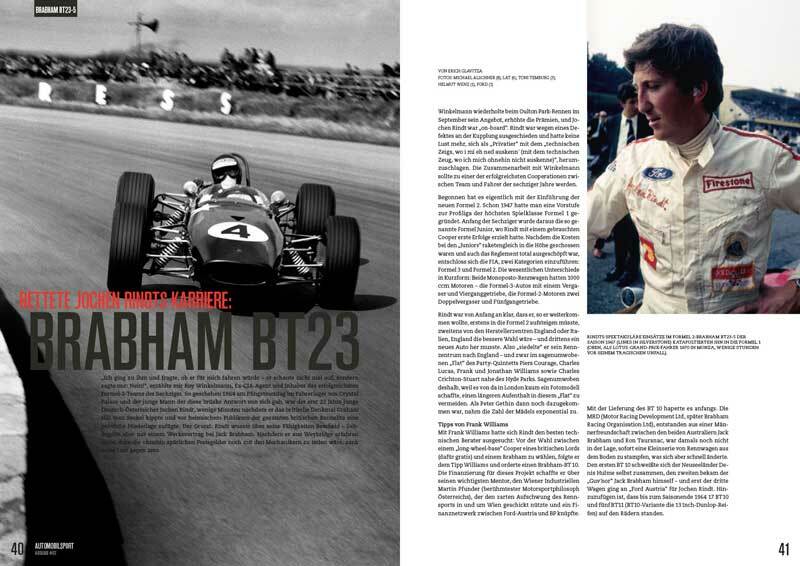 While Rolf Stommelen was in pain from stiff muscles, Manfred Schurti travelled to Mugello having barely recovered from a serious cold. 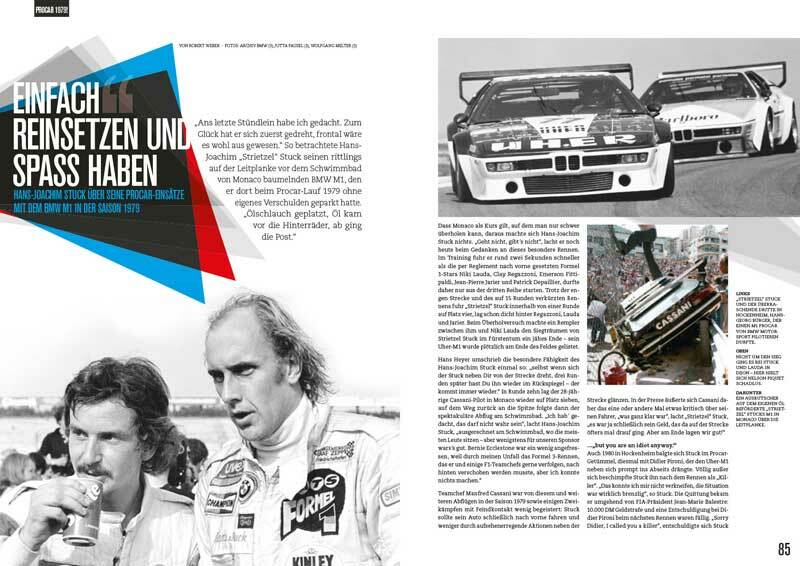 Jochen Mass climbed out of the #1 car after his first stint, feeling sick. 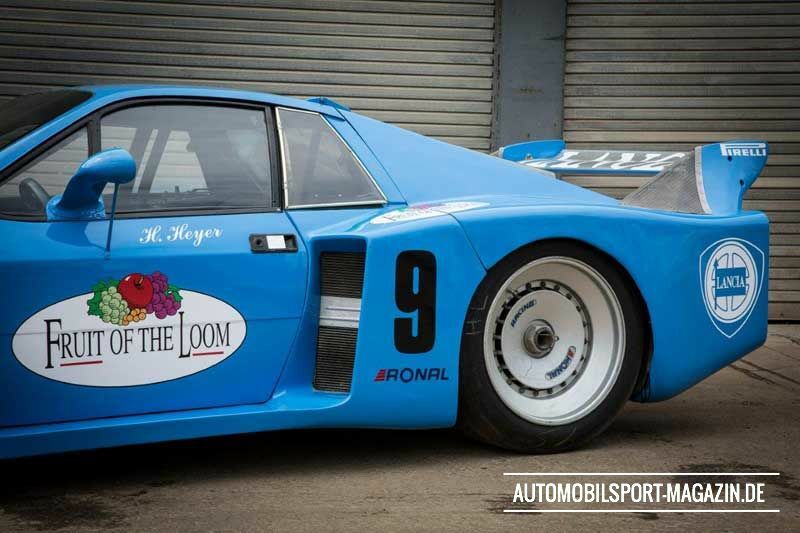 Maas’ originally scheduled co-driver Jacky Ickx had already been forced to withdraw before the race as he was suffering from mumps. 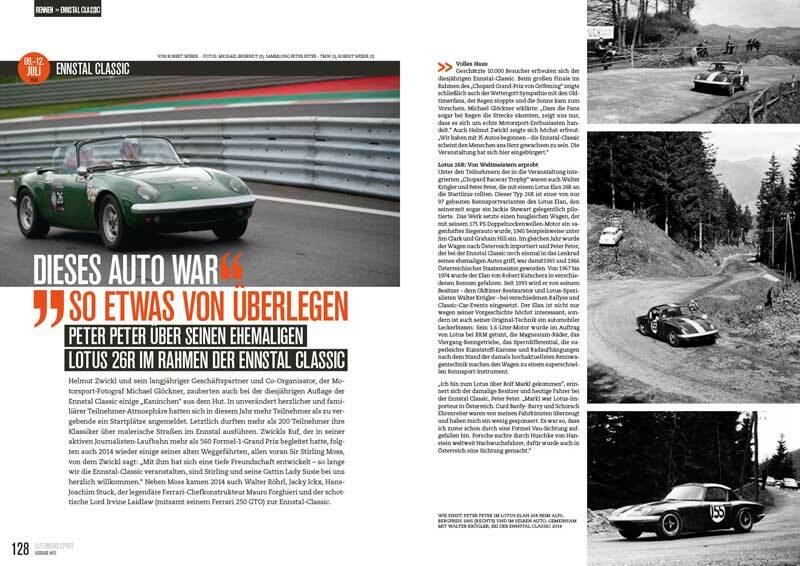 Porsche’s substitute driver Jürgen Barth seemed to be the only one perfectly fit to race. 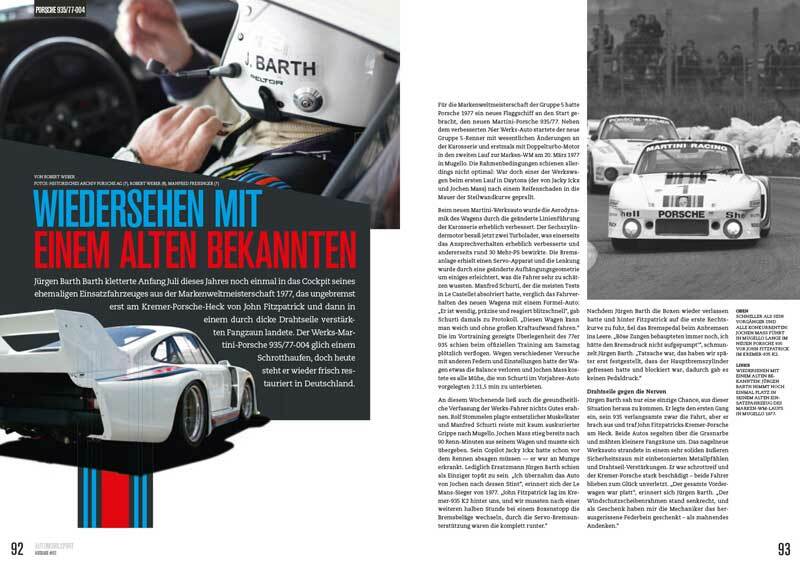 Barth was replacing Ickx to share the new #1 Martini 935 with Jochen Maas. 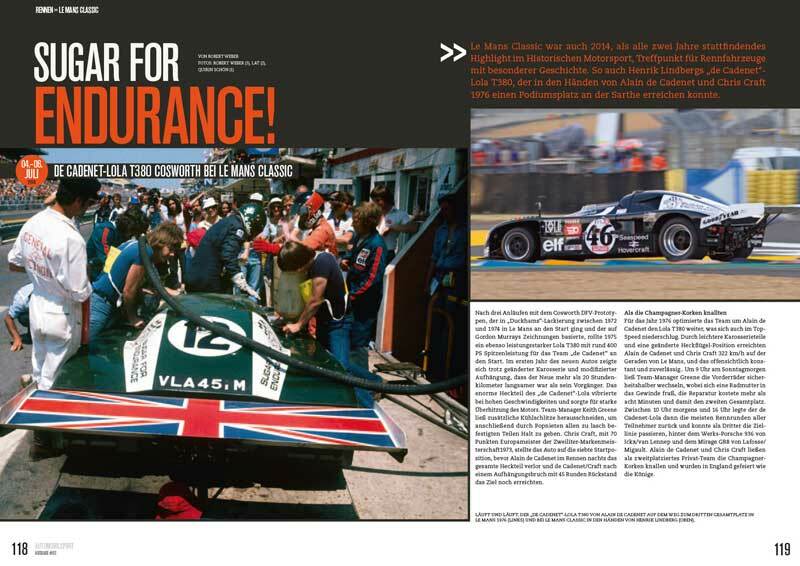 "I took over the car from Jochen after his first stint", the 1977 Le Mans winner recalls. 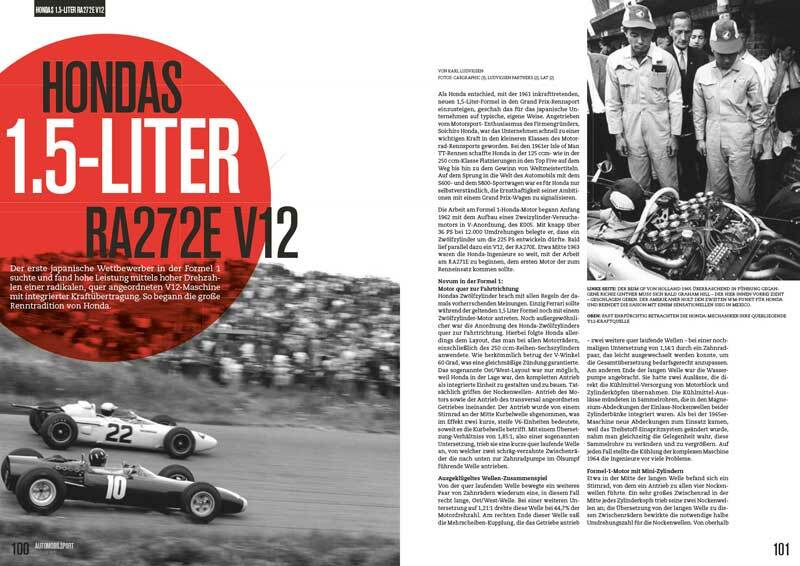 "John Fitzpatrick was behind us in the Kremer 935 K2 and just half an hour later we had to pit again for changing the brake pads which were completely worn because of the new servo-assisted brake system…"
"You couldn’t have much more fun in a racing car"
Report from the cockpit of the Maserati 250F "Piccolo"
With regard to the road roulettes of Monte Carlo it must be noted that prior to the historical events in the Principality I only drove there once and the track takes some getting used to, as you cannot do tests there. 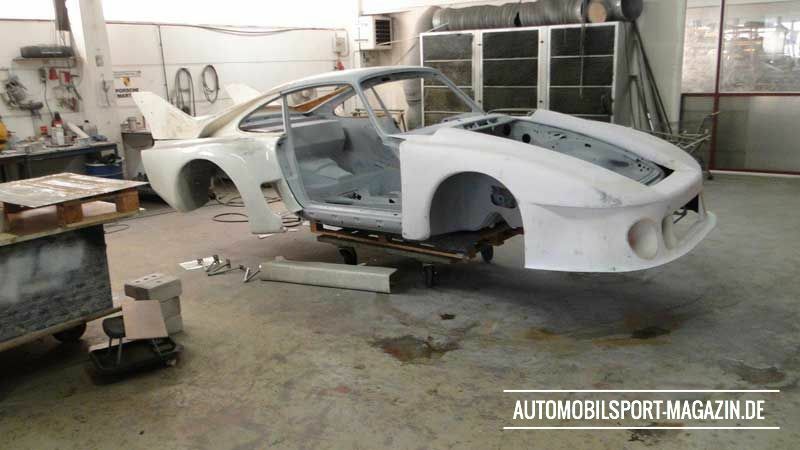 It was a challenge for me then in the Porsche Supercup, when I got into the car for the first time and ended up in pole position with the narrowest of leads, and I do mean actually in the entire Cup history of Porsche. 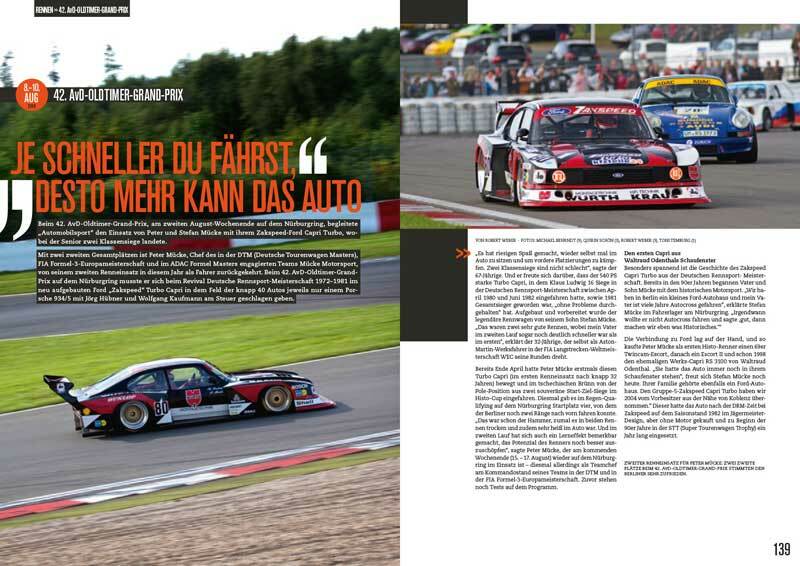 After a great start, I was able to get away from the field, even setting the fastest lap of the race, until there was a safety phase which brought the field closer together. 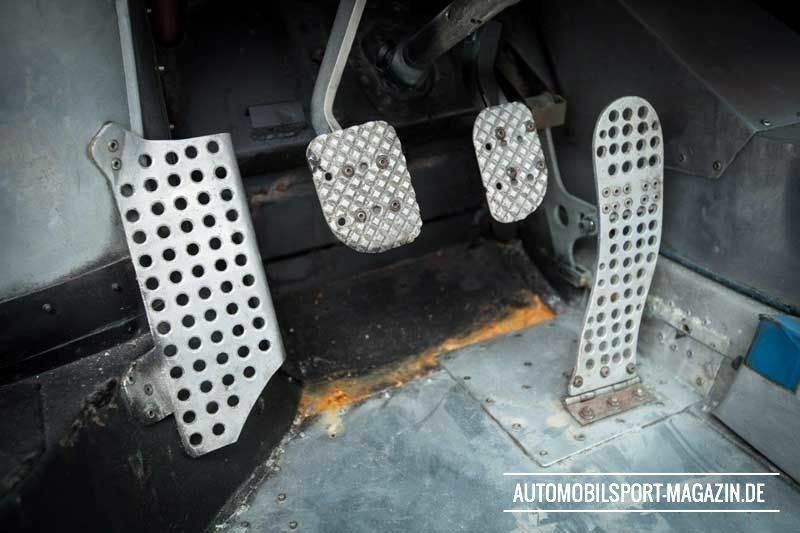 Ricardo Zonta then went completely wrong in the harbour chicane and from sixth place suddenly landed right in the front with me – I could see him coming in the mirror, changed my direction and also went straight ahead, and in doing so, he shaved off my tyre valve – completely mad if you ask me! Otherwise my car hadn’t got any scratches, but this minimal grazing impact resulted in a flat tyre, which cost me a possible victory at Monaco. 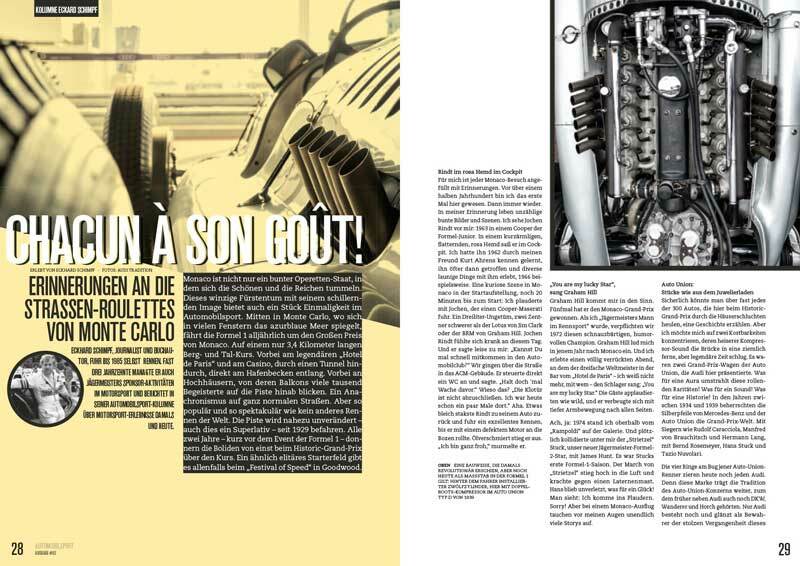 Even so, this race at Monaco is a lasting memory because we continued driving after a tyre change and gained another three points – in fact at the end of the 2003 season I still became champion with a 2 point lead! 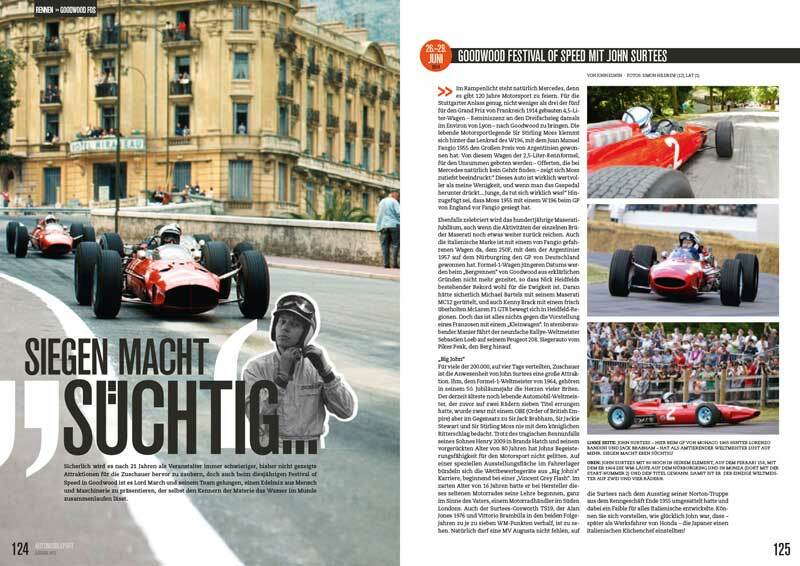 Thus, among other successes, Monaco was incredibly important in that season. With regard to Monaco, an open calculation had taken root at the back of my mind. 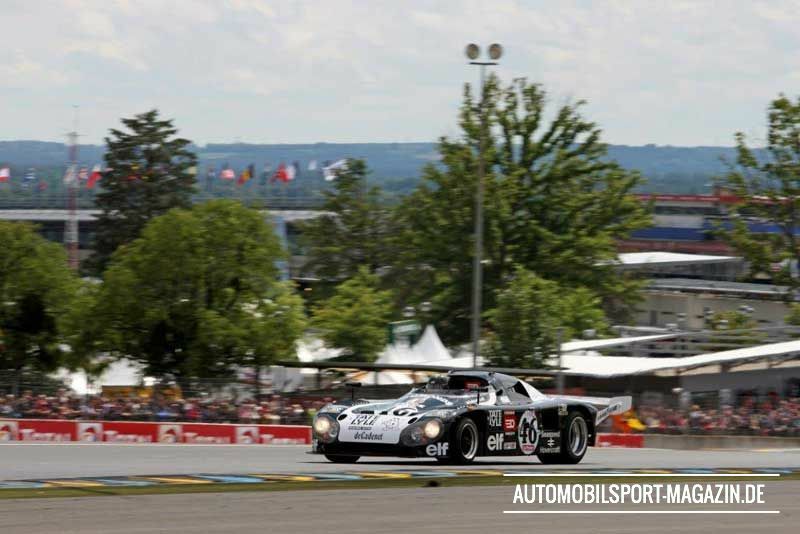 And it paid off nine years later because I took fourth place at my first start in the Historic Grand Prix 2012 in a Maserati 8CM and was second this year in a difficult race with the 250F Piccolo. 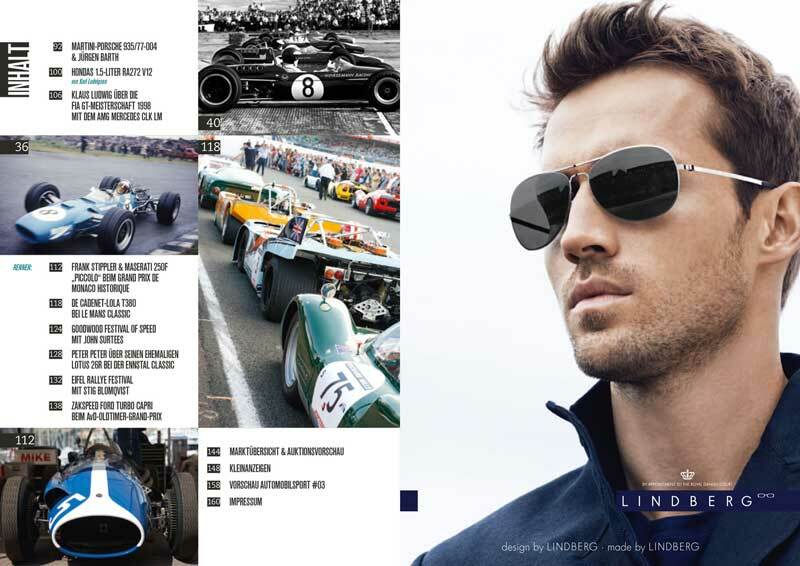 So each start in Monaco always brought something positive with it. 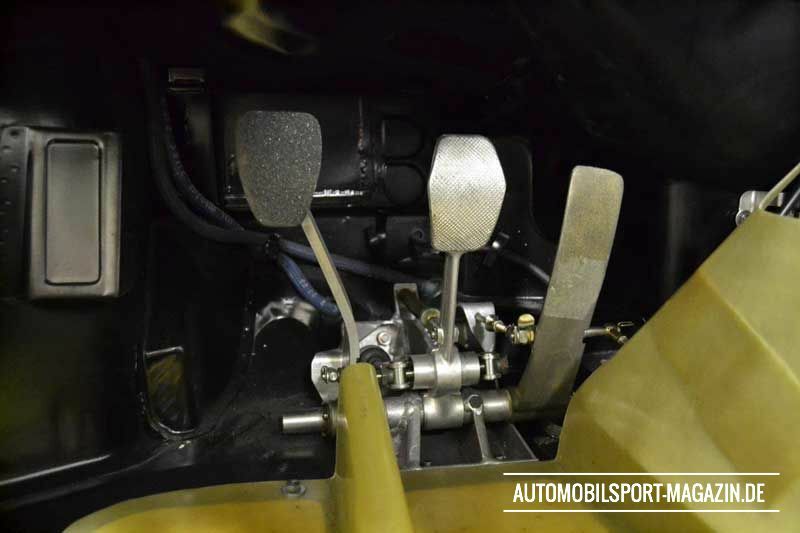 To be able to drive a 250F is something special to begin with, and the car maintained by Methusalem just worked outstandingly well. 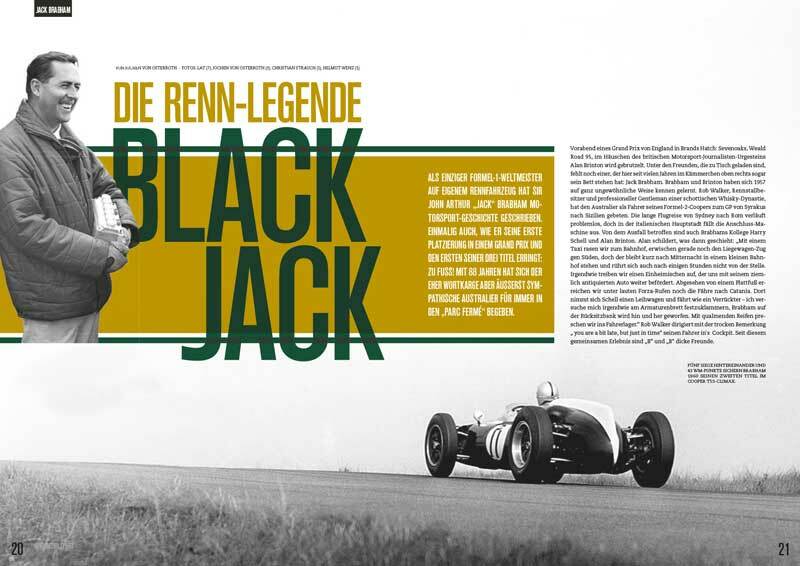 This single-seater ran so much better than other 250F cars because the engine worked very well at an extremely high level and, at the same time, the chassis of the Piccolo is somewhat lighter than a standard 250F. Naturally, that had a positive effect.